He is helpless ..... with his father in this critical condition and no relative helping him. Not only it is tragic for him to see his father like this but more heart breaking part is seeing him loosing life just because of lack of money. I pleed infront of you all to help my friend financially so that he can afford the treatment for his father and save this family. Thank you all for your support. Unfortunately, Mr. Dinesh Rastogi passed away early in the morning at 3:00 AM on 17 March, 2018. He was suffering from pneumonia a week ago which filled his lungs with fluid. This caused some serious breathing problems for him which later on gave him a heart attack. He was immediately rushed to a government hospital but due to his conditional being critical, his wife was advised to take him to a private hospital. 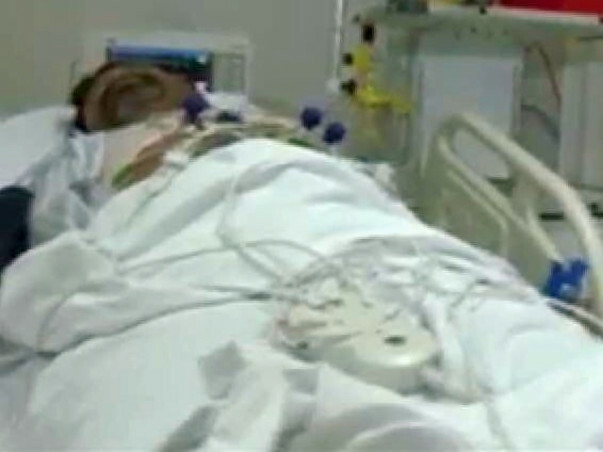 After shifting him to the private hospital, he was admitted in the ICU and was on life support. Archit, his son, was then informed about his father's health the same night and we set up this campaign. We immediately started getting donations from all of you, which we will forever will be thankful. He later succumbed to his illness and we lost him. We shall be withdrawing funds from the campaign to use them for paying medical bills. Wish u d good health.